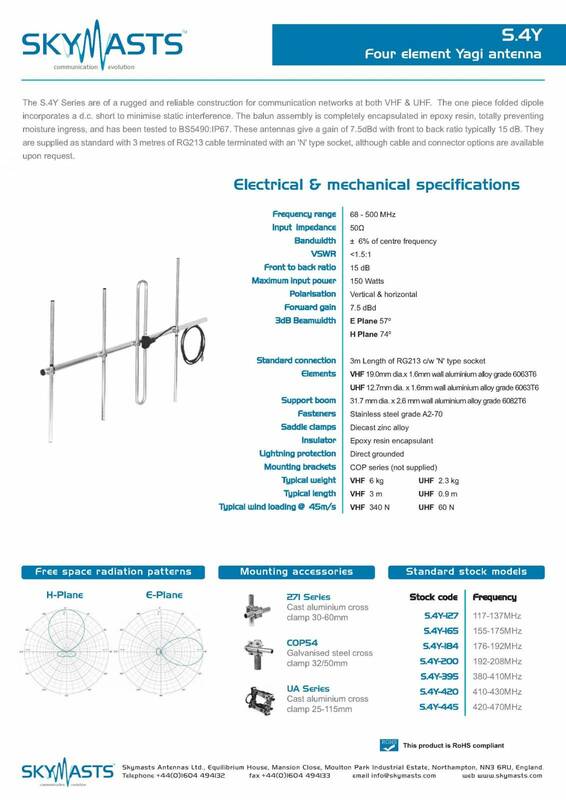 The S.4Y Series are of a rugged and reliable construction for communication networks at both VHF & UHF. 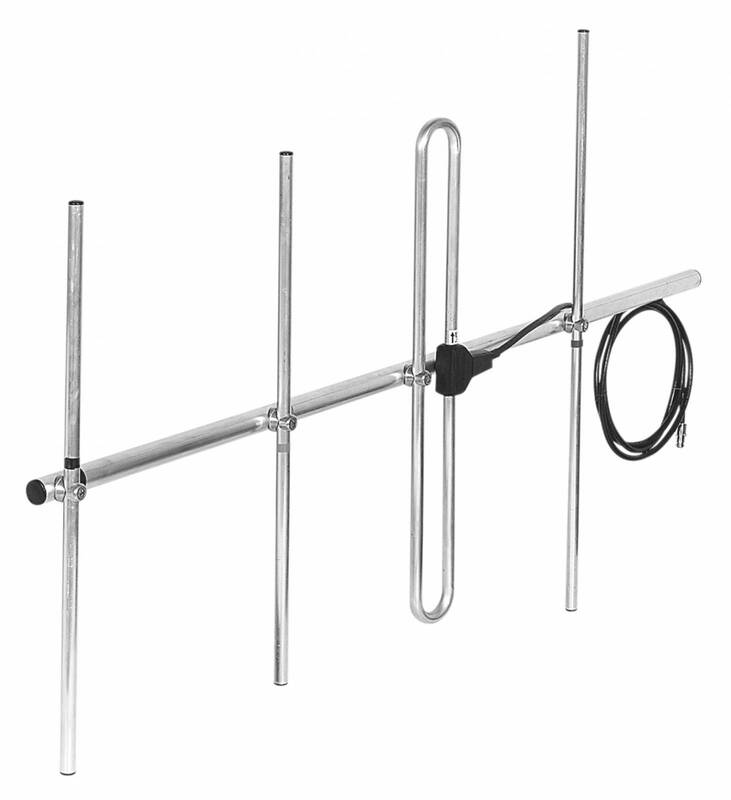 The one piece folded dipole incorporates a d.c. short to minimise static interference. The balun assembly is completely encapsulated in epoxy resin, totally preventing moisture ingress, and has been tested to BS5490:IP67. 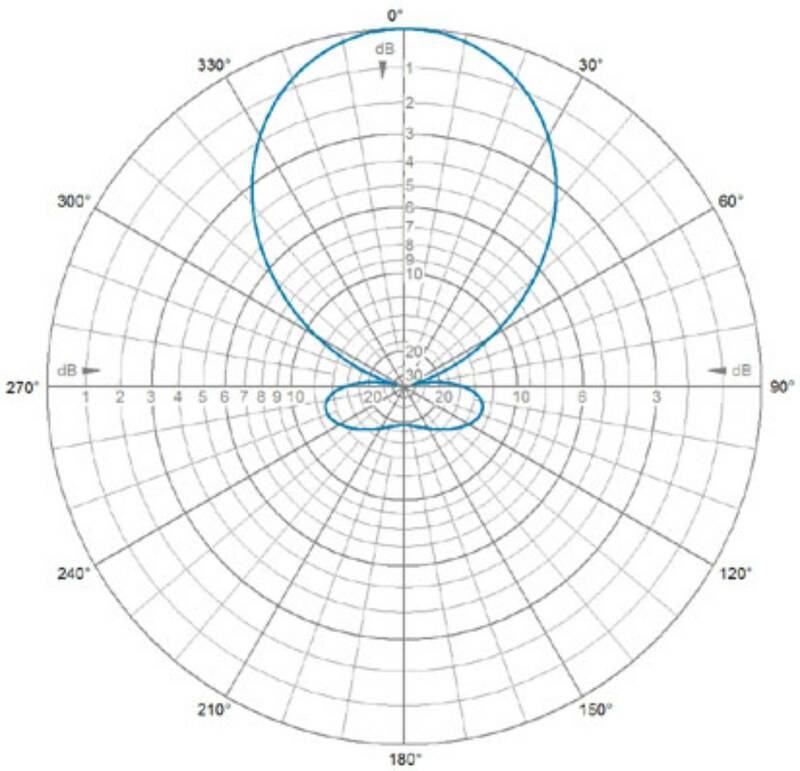 These antennas give a gain of 7.5dBd with front to back ratio typically 15 dB. They are supplied as standard with 3 metres of RG213 cable terminated with an 'N' type socket, although cable and connector options are available upon request.